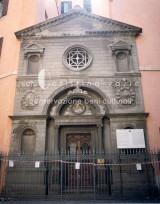 The church dates back to the VII century. 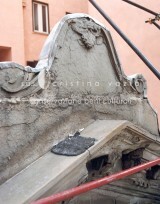 At the time, there was a church dedicated to Saint Andrew of the Marmorari on the same site. 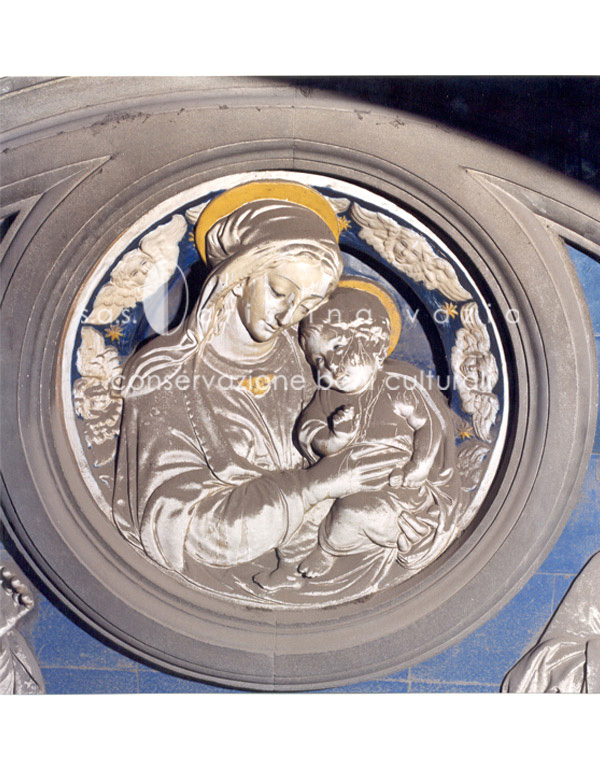 In 1455, the church was entrusted to the Community of the Bretons in Rome who restored it, adding a hospice and a hospital. 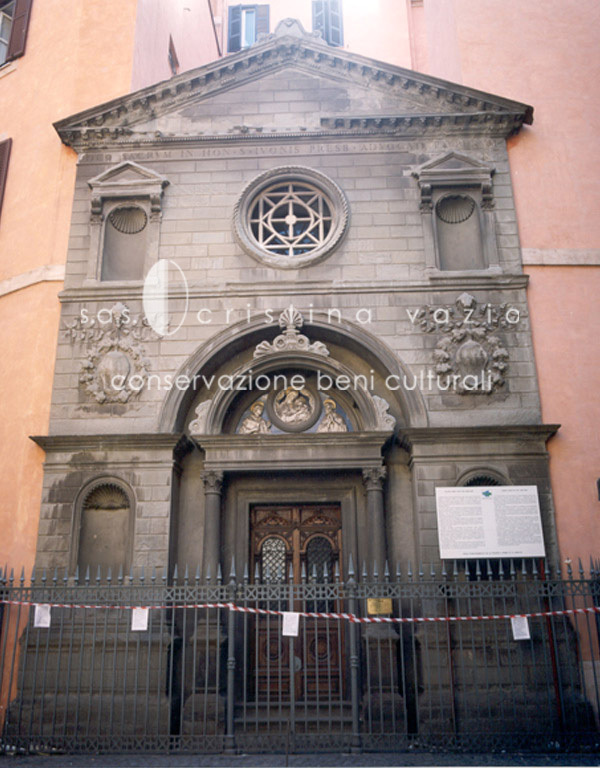 With the dawn of the XIX century, Saint Ivo slowly and progressively decayed until the controversial decision to demolish the church happened in 1873 and a new building project was entrusted to Filippo Chiari. 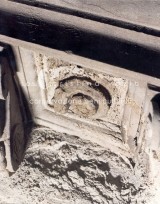 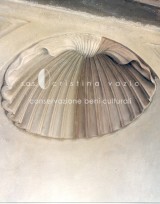 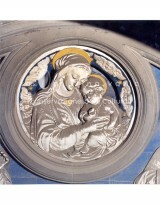 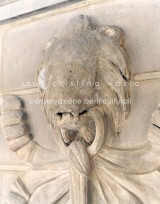 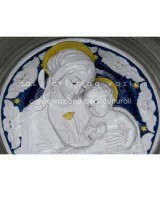 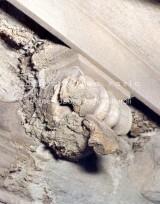 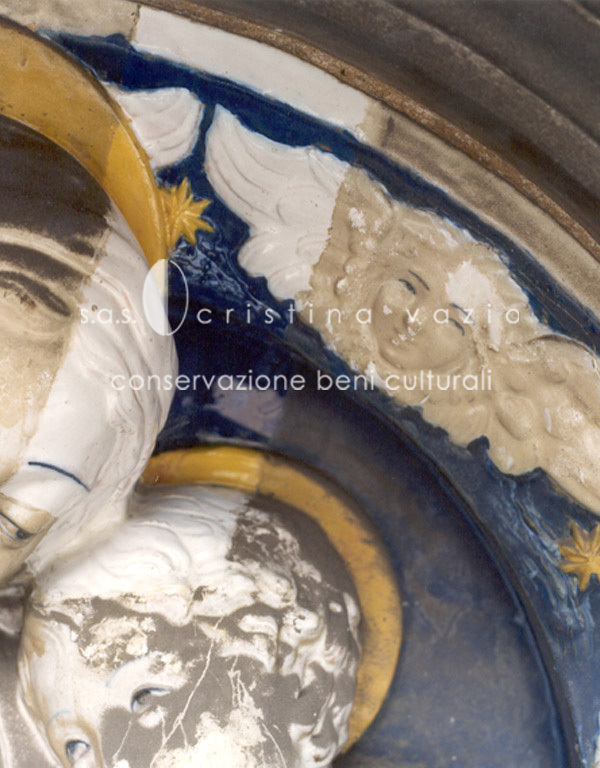 Only few parts of the original structure were saved, such as the external majolica medallion made by Luca della Robbia. 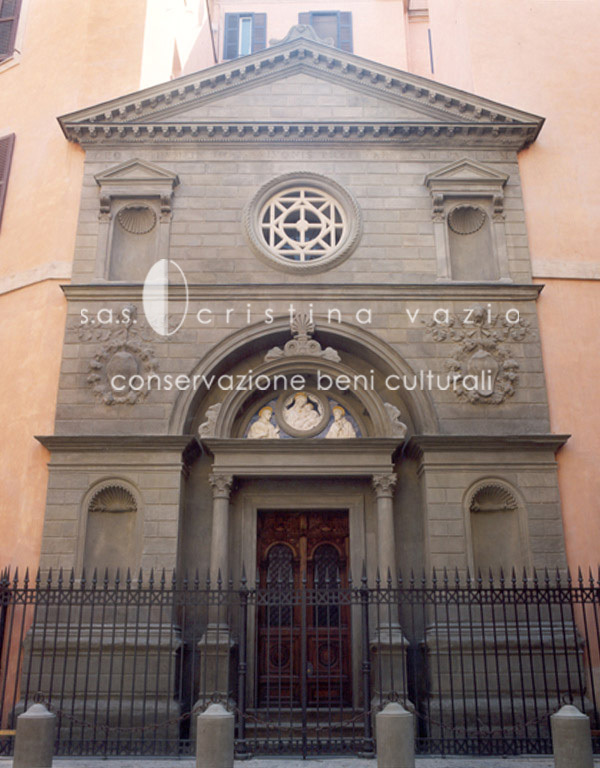 The new building was finished in 1876-1878 by Luca Carimini. 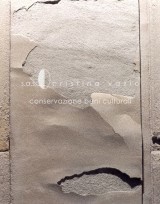 Italian Pietra Serena sandstone was used for the façade. The Tondo by Luca della Robbia was inserted within the central lunette, and completed by Adriano Ferraresi in the same style, with images of Saint Ivo and Saint Bernardo. 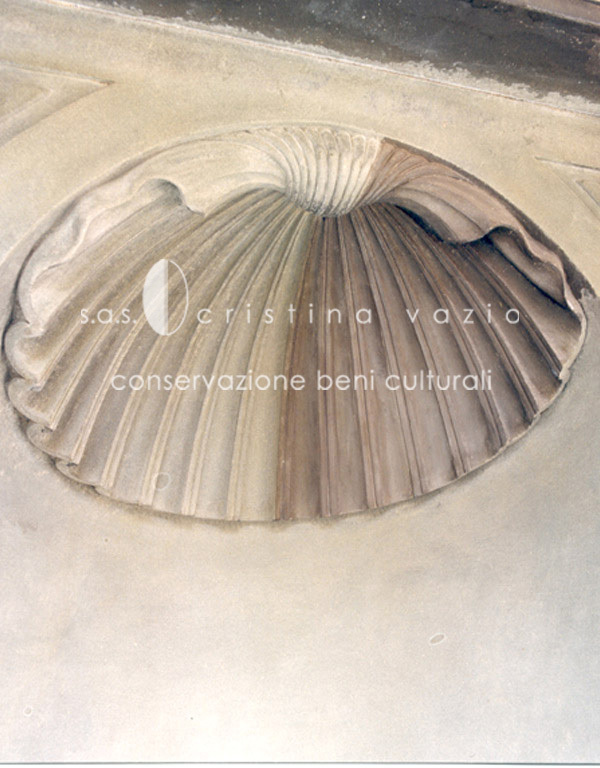 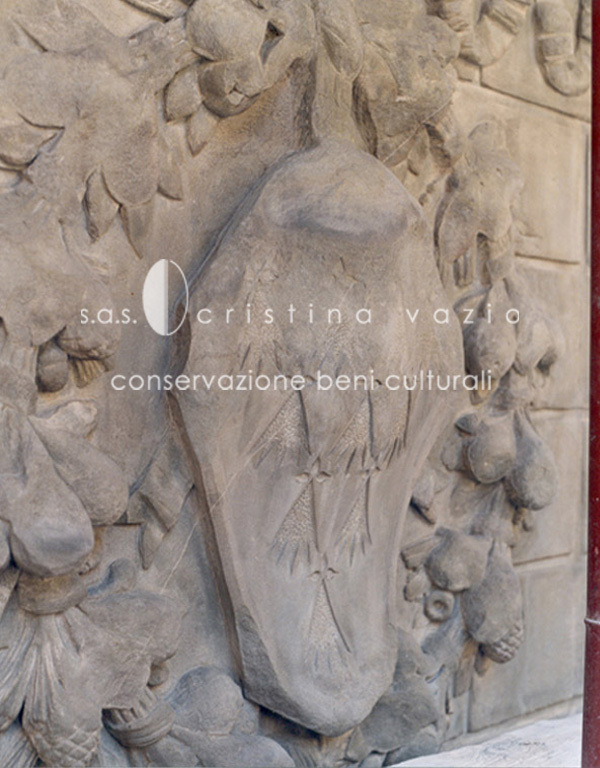 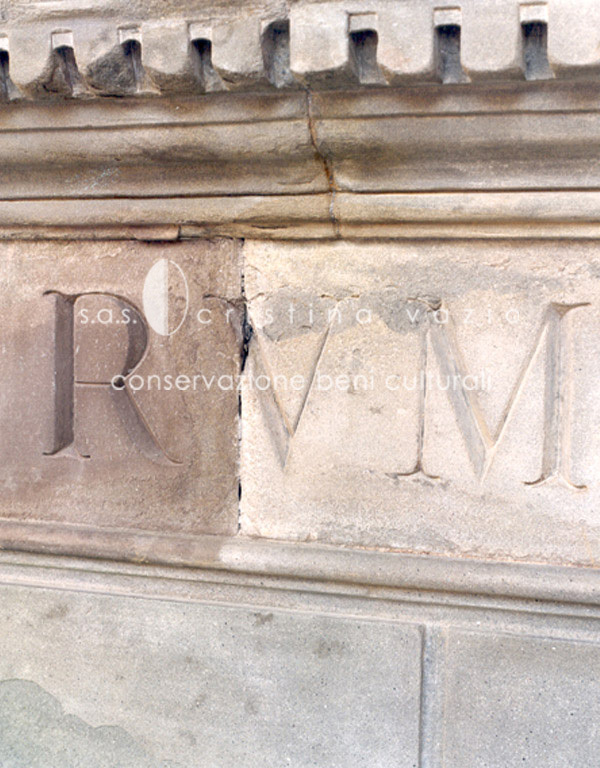 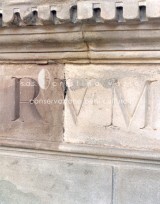 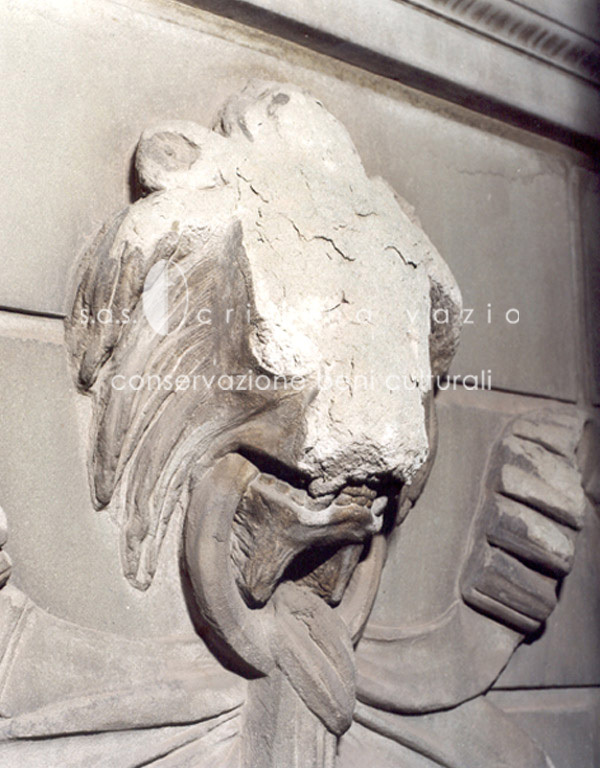 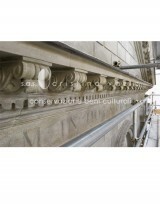 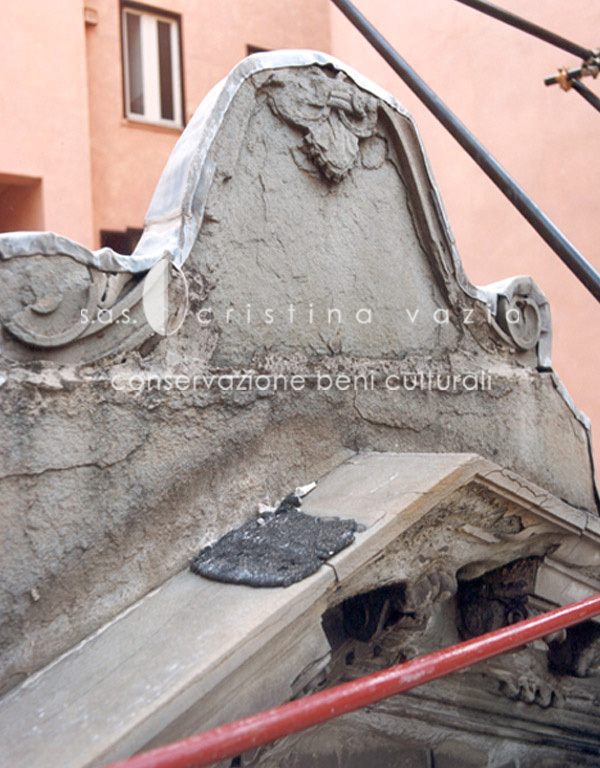 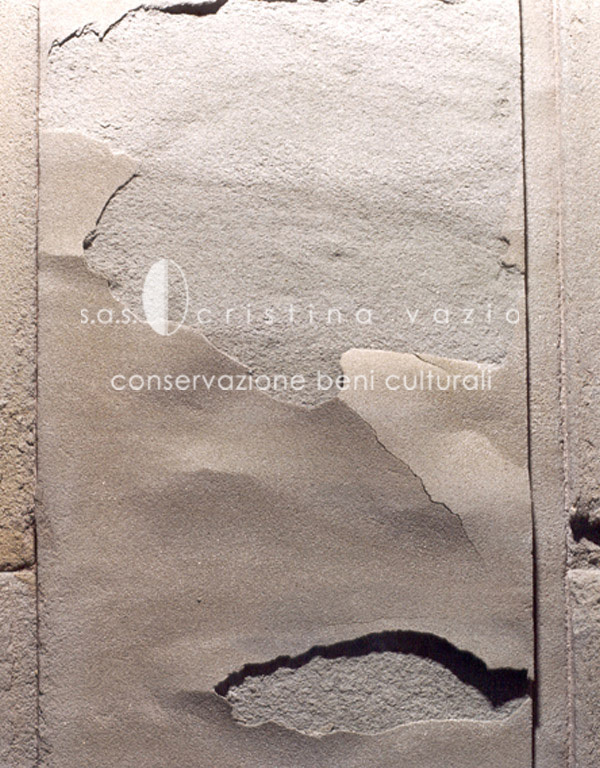 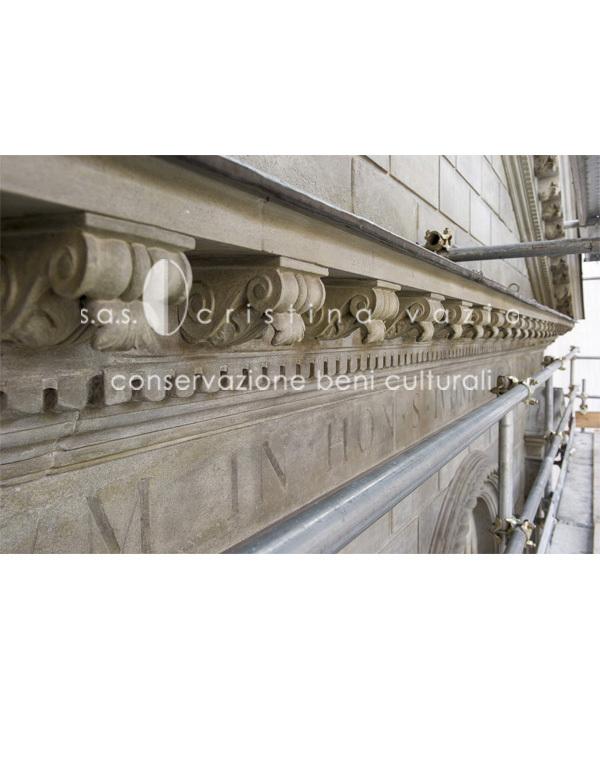 The restoration of the façade became necessary due to the typical deterioration phenomena connected with the use of Serena Sandstone, such as gradual crumbling, loss of consistency, and detachment of entire portions of the relief decoration.